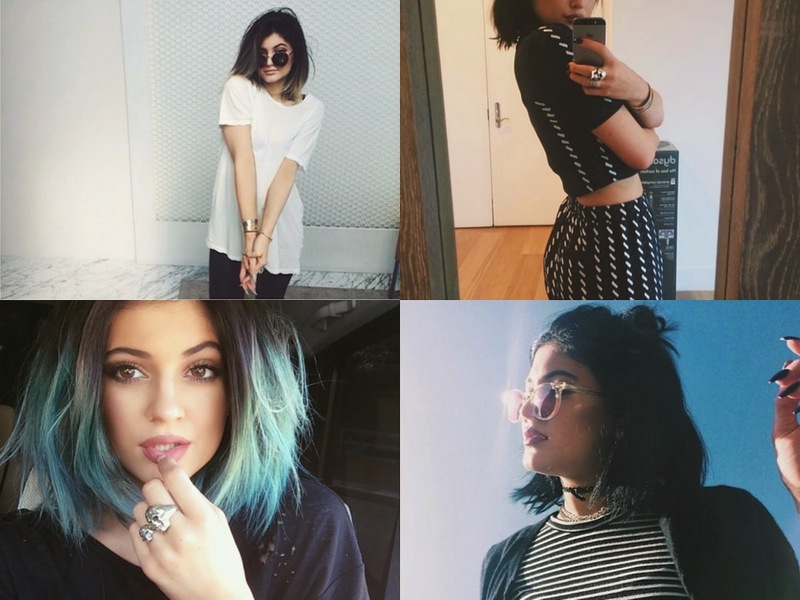 Kylie Jenner: a professional selfie taker with a grungey style and dip-dyed hair making me green with envy. Her simplistic, black and white style is major! Already, I am obsessed with Keeping Up With The Kardashians but they need to move over and watch out for the Jenners. With Kylie's style taking over: clearly making everyone want to cut their hair to their shoulders (you know you're tempted). I want to dye my ends greeny-blue if I could pull it off! I'm obsessed with Kylie's style, she even made me want blue hair a little bit, so perfect! Me too! I don't think I could pull it off like her though! Me too! I feel like she is ALWAYS on trend or starting new trends! Great post, I really like your blog! I found it because of the #bbloggers chat! She is really stunning, and she has a great style! Great post! I lovee her style too!